Success! I finally got it working! Holy cow! It's a matter of digging through several manuals. up SP2 with Anveo. I have 7 phone numbers with Anveo and if I configure automatically it does not give me an option of which number to use and just pulls the main number from the account with no option of choosing a sub account. I have gone in numerous times into expert config by typing the IP address of phone, logging in and manually changing the account settings and everything works and looks good on the phone until I reboot and then all the edited settings are overwritten. So I have a $25.00 Polycom IP phone that can configure any SIP account in 5 minutes but I can't get a $200 OBI phone to do the same. What am I missing here? This is driving me crazy! If you are using OBi Expert to configure and then try to configure locally, when you reboot the phone, they are overwritten. You can't use both methods. It's either on or another. In order to use local configuration, you have to disable Auto Provisioning. Thank you for the reply! I figured it out after looking at tutorials on Anveo on setting up an Obi100, so I used the same setup and got it working now. I could have set up your 7 Anveo numbers in 7 minutes. Start on the OBiTALK main dashboard page. Looking at the expanded view of the 1062 phone, you have a list of SPx slots. Click one of them. Click Anveo, and enter your Anveo credentials for the number you wish. Click to Submit. Lather, rinse, repeat for the other six numbers. Have a beer; you're done. I know! I spent 4 hours trying to figure it out, I wasted half of my day. I have a long time setup with Obi100 and now Obi200 which originally required a landline and Google Voice. I want to eliminate the landline. It is not clear to me how I do that. If you get an OBI phone it eliminates the need for the router. Mine's now a paper weight/dust colllector. It's so much nicer having the IP phone only. phone line? You'll still need an internet connection then plug you analog phone into the back of the 202. 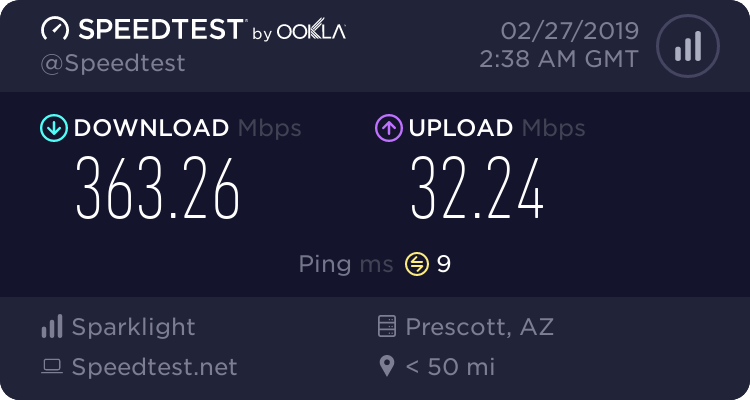 I replaced my 202 with an OBI phone which now runs over my internet connection without the need for the 202. No Obi requires a landline and Google Voice. If you have GV and it works, then what is the issue? Did you mean to say you had an Obi 110? If you have an existing SIP account you want to put onto the OBi, scroll down the screen to "OBiTALK Compatible Service Providers" and click next. On the next page you can either select your service provider (if they are listed) and enter your account credentials, or click "Generic Service Provider" and enter your SIP credentials and service providers SIP server settings. That sounds like an issue caused by your web browser. Try a different web browser, and at least temporarily, turn off any add blockers or security software. Hi, I just bought an Obihai200 and I have been having problems installing it. I did everything that the setup process shows and have a solid green light on power and internet with small flickers here and there. When I pick up my phone I don't hear a dial tone and can't call the test number. Already answered in your other discussion thread. OK I've done a factory reset. obihai 200 has blinking power led -network led pulsates green signal. Dialing **5 9873 gives network status 52 not available. FING shows unknown device IP 192.168.0.13 That is obihai 200. How do I get obi talk to recognize my obihai 200? I'm wondering if I have one SP (anveo) connected to 7 of the 8 ports on my obi, and a different phone plugged into each port, will they all ring simultaneously when someone calls? Another hijack. OBi phones do not have 8 ports. You must have an OBi5xx. If you want 7 ports to ring then configure Anveo on one SP slot and put the 7 PHONE ports in its X_InboundCallRoute. The OBi100 and OBi110 has reached it's end of life (EOL) status and are no longer supported. Please upgrade to a more recent OBi device to receive support. Well, if you just bought an OBi 202, then you need to add it to your OBiTALK dashboard yourself. Follow the instructions to plug in your OBi, connect it to your Ethernet LAN, plug in a telephone, and pick up that phone and key in **5 to add it to the dashboard.